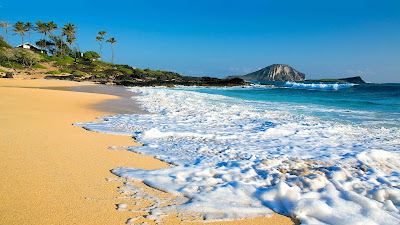 We booked our next adventure to Oahu, Hawaii this spring. Josh and I were trying to think of summer destinations for our family vacation and I joked, we could go to Hawaii. This has been a joke in our house because every time I go looking at flights to Hawaii (any island) from the Midwest, it is always $1200+ per person just for the flights! On a lark, I checked again and I saw that flights were down in price this spring. I have many sites and tools that I use for travel hacking so I started to get excited, maybe... just maybe it was possible. Success! I found round trip tickets for $550 a person. And just like that, we are headed to Hawaii. I also managed to have saved up 2 nights on Hotels.com over the last year of free stay, so we are also getting a nice deal on our hotel in Waikiki for the week. We are looking forward to hanging out at the beach and exploring the island but I would lying if I didn't mention that this trip is also feeding my family's kawaii and Japanese-culture addiction. My girls are already talking about eating bento boxes for lunch each day and perusing all the Sanrio and San-X goods they can find. I'm looking forward to our trip and can't wait to share our adventure with you.